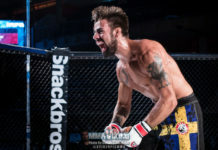 Wolf Fight Promotion has announced its first pro bout matchup of the card. 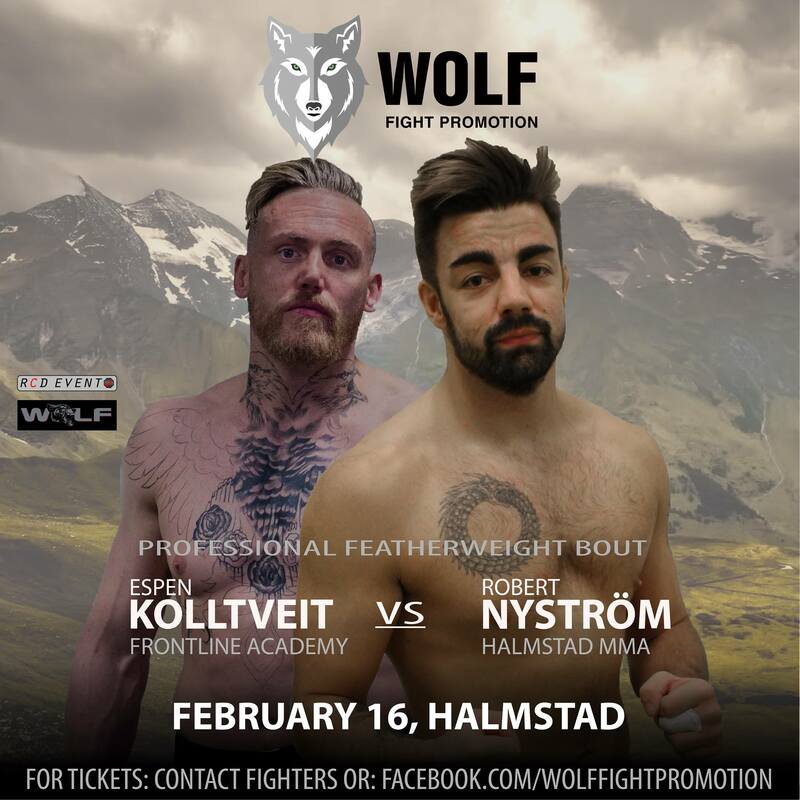 A bout between Sweden’s Robert Nyström (2-3) and Norway’s Espen Kolltviet (0-4) will serve as the co-main event of Halmstad Fight Night. 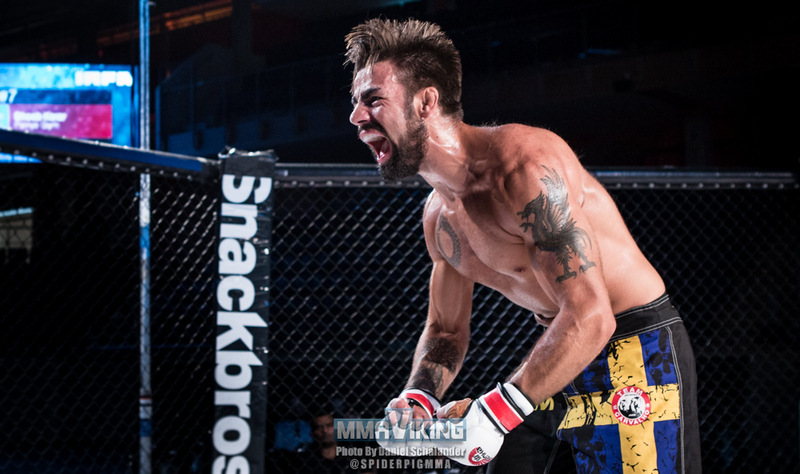 The event held by Wolf Fight Promotion will be the first pro MMA event in the town since 2013. 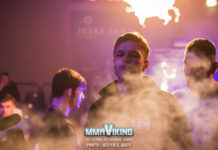 Fighting out of Halmstad MMA, Nyström has had mixed success in 2018. 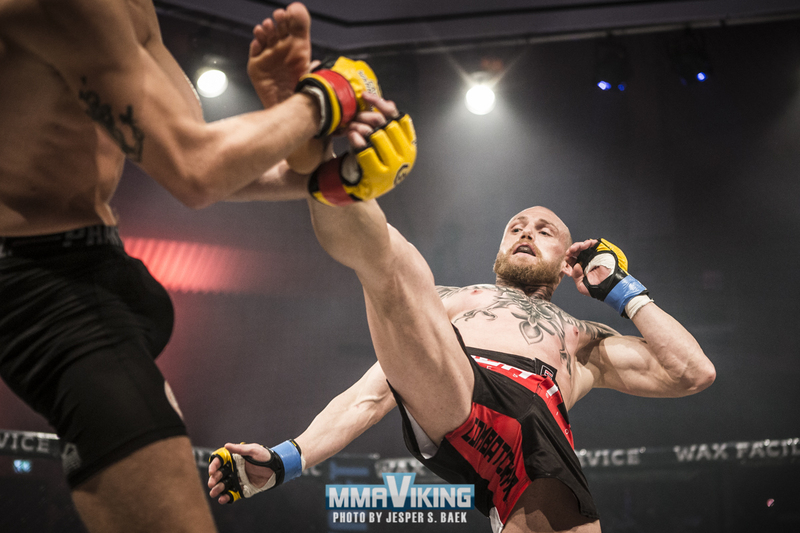 The Swede has fought on 3 occasions, only picking up one win. Last time out he travelled to Scotland where he was submitted in the second round by a tough Steve McIntosh (5-1). 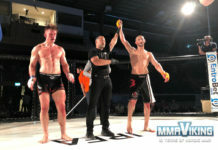 Prior to that he featured at IRFA 14 where he stopped Haci Firat Dogan (0-4), submitting him in the opening round. Kolltviet will be making hoping to finally score his first pro win in Halmstad. 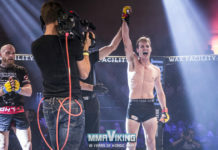 The Frontline Academy fighter debuted in December 2017 and has fought on 3 occasions in 2018 so far. He has lost all of his bouts to date via first round submission. The main event for the evening is yet to be announced but is expected to feature Halmstad native, David Jacobsson (3-2). The fight night will also feature 11 amateur bouts preceding the 2 pro bouts.